This handsome fellow arrived in 2011. We had originally been asked to take him back a few months earlier when he was in Louisville, Kentucky. He had been dumped in a lady’s yard, and though she liked him, her own dogs were aggressive towards him, and so she was going to take him to a local shelter. 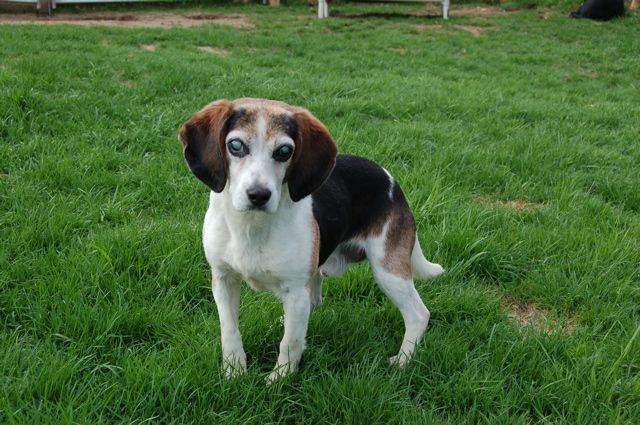 As the rescue group told us at the time, “shelters in KY offer little hope for a Beagle, let alone a blind senior.” Unfortunately, we had to decline at the time because of space constraints — we hadn’t had any adoptions since the previous fall and were holding the line on numbers, one of the most painful but necessary things we have to do. 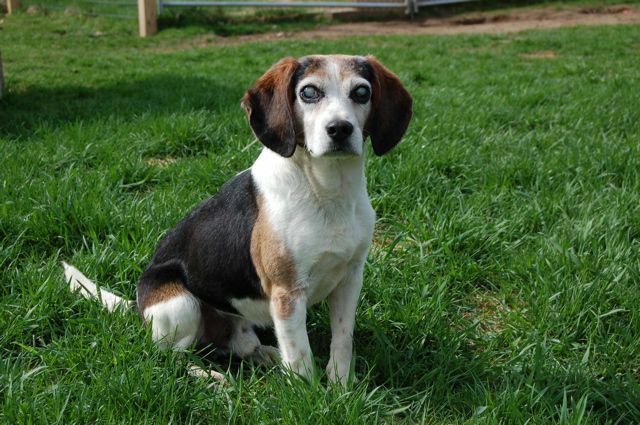 As luck would have it, Morgan at Atlanta Beagle Rescue — who has sent us numerous blind Beagles over the years — was able to take him in the interim. She named him Louie, for … yes, Louisville. It fits him!